Many people feel that they are overexposed to the hard selling methods employed by some businesses with regards to emails. This can be a sure fire way for your potential client to simply ignore your mail, or worse, set the spam filter so the mails don’t even get through to them. Although the hard sell does get results, it does this through repetition and offers of discounts and reductions, usually with a specific time frame to use these within, such as ‘buy this now, to get these discounts – offer available for 72 hours only’. This gets you off to a bad start, and the repetition can annoy a lot of people. 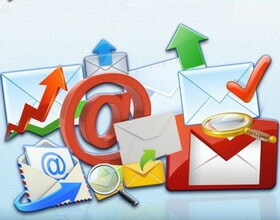 Many businesses are now turning to the soft email approach. Let’s take a look at what this specifically involves. First off, the soft sell email approach is a subtle and low pressure way of selling products. Instead of immediately offering goods for purchase, the soft email approach looks to build a kind of personal relationship with the recipient first and foremost. Remain open to the customer, even if it is clear they are not within your targeted customer base. Situations can change rapidly, and they may turn into a potential client. Once the time has been taken to develop and build a relationship through the soft email approach, it doesn’t come across as so obvious to the client when you do offer a solution to a particular problem they have. Just being there in the background is often enough for clients to take the step to contact you about a sale. Once you have spent the time chatting to a client, you can let them know of which services you are in a position to provide for them, without the client feeling under pressure to make the purchase. By adopting this method, you are showing that you value the client, and are not making any assumptions about them, or their intelligence, as this is a major problem of the hard sell technique. Being told you need something is an insult, and makes many people turn away without hearing more. During your conversations with your prospective clients, it is a good idea to let them know about your range and marketing information. But be sure to let them take this in on their own. This method of allowing the client to slowly digest the information will result in a much better response than simply hammering them with products and information. The chances are, if they find they have to make a purchase, they will seek you out first – and come to you on their own. This is a key aspect of the soft mail approach. Putting your business out there, and allowing the client to come to you will foster loyalty, and they won’t feel pressurized into making a purchase. The client will perceive it to be their choice. Of course, your company may like to use a combination of both hard and soft approaches to different consumer bases. It is a great idea to do some research first, before deciding which demographic is more attracted to the different email marketing approaches. Understanding which clients prefer a soft sell approach, and which respond best to a hard sell approach, will give your business the best of both worlds, attracting customers you may not normally have appealed to.